US Troops Withdrawal from Afghanistan: Underlying Cause of Friction Between India and Pakistan? In a pre-dawn airstrike on Tuesday, according to Indian account, 12 Indian Mirage 2000 fighter jets intruded into Pakistan’s airspace and dropped their payload on the top of a mountain at a terrorist training camp, allegedly belonging to a jihadist group that had claimed responsibility for the Pulwama attack in the Indian-administered Kashmir on February 14 in which more than 40 Indian soldiers had lost their lives. Although Pakistan military’s official spokesman, Major General Asif Ghafoor, tweeted after the Indian incursion that the Indian jets had intruded 3-4 miles in Muzaffarabad sector of Pakistan-administered Kashmir, according to location provided by local residents, the site of the airstrike was deep inside the Pakistani territory between Balakot and Mansehra in northwestern Pakistan. Thankfully no loss of lives has been reported as the bombs fell in the open and created four large craters. In response, Pakistan’s air force struck six targets inside Indian-administered Kashmir on Wednesday. Indian air force chased Pakistani aircrafts inside Pakistan-administered Kashmir where two Indian MiG-21 aircrafts were shot down by Pakistan’s air force and two Indian pilots were arrested, one them was injured who has been hospitalized. India has admitted that one MiG-21 has crashed in Pakistan-administered Kashmir and its pilot is missing in action. India has also claimed that its air force has shot down a Pakistani F-16, though Pakistan has denied the claim and the report could not be independently verified. Although the proximate causes of the latest flare-up between India and Pakistan are evidently Indian elections due to take place in May and the Pulwama terrorist attack which was claimed by the Pakistan-based jihadist group, Jaish-e-Mohammad, though carried out by a Kashmir resident Adil Dar, in order to understand the underlying causes of friction, we need to take a look at the changing geopolitical dynamics in the region. On January 26, Reuters reported  that Taliban officials said the US negotiators had agreed on a draft peace pact setting out the withdrawal of American troops from Afghanistan within 18 months, potentially ending the United States longest war. Confirming the news, New York Times reported  on January 28 the US chief negotiator Zalmay Khalilzad (image on the right) stated the American and Taliban officials had agreed in principle to the framework of a peace deal in which the insurgents guaranteed to prevent Afghan territory from being used by terrorists, and that could lead to a complete pullout of American troops in return for a ceasefire and Taliban talks with the Afghan government. “The US is serious about pursuing peace, preventing Afghanistan from continuing to be a space for international terrorism and bringing forces home,” though he declined to provide a timeframe for the withdrawal of American troops from Afghanistan. The news of drawdown of American forces is expected after the second round of peace talks is concluded, which is currently being held in the capital of Qatar, Doha, in which Mullah Abdul Ghani Baradar (image on the left), a close aide to the Taliban’s deceased leader Mullah Omar, is leading the Taliban delegation in the negotiations with the US Special Representative Zalmay Khalilzad. Baradar was released from captivity  in October by Pakistan’s intelligence agencies and was allowed to join his family in Afghanistan. He was captured in a joint US-Pakistan intelligence-based operation in the southern port city of Karachi in 2010. 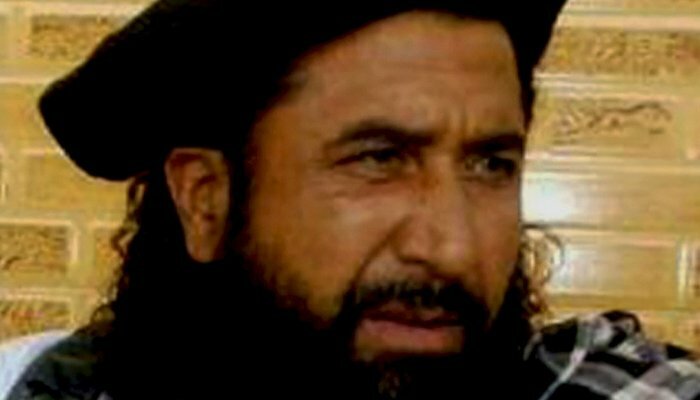 His release was a longstanding demand of the US-backed Kabul government because he is regarded as a comparatively moderate Taliban leader who could play a positive role in the peace process between the Afghan government and the Taliban. 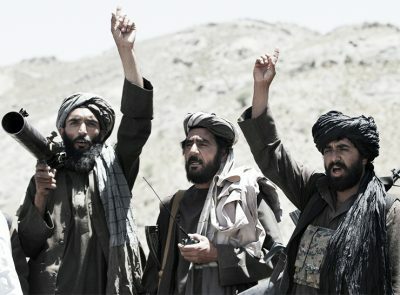 Alongside the issues of Taliban providing guarantees it would not allow Afghan soil to be used by transnational terrorists, al-Qaeda and Islamic State Khorasan, the Taliban holding direct negotiations with the US-backed Afghan government – which the Taliban regards as an American stooge and hence refuse to recognize – a permanent ceasefire and the formation of a mutually acceptable interim government, a few other minor issues, such as the exchange and release of prisoners, removing travel restrictions on the Taliban leadership and unfreezing its bank accounts are also on the agenda of the peace talks. Regarding the presence of transnational terrorist networks on the Afghan soil, the al-Qaeda chief Osama bin Laden has already been killed in a May 2011 raid of the US Navy Seals in the Abbottabad compound in Pakistan and its second-in-command Ayman al-Zawahiri is on the run. Besides, the number of al-Qaeda’s Arab militants in the Af-Pak region does not exceed more than a few hundred and are hence inconsequential. Although both Reuters and New York Times reports hailed the news of the pullout of American forces from Afghanistan a diplomatic victory for Washington since the Taliban had agreed to a ceasefire and holding talks with the US-backed government of Afghanistan, in fact the withdrawal of foreign troops from the Afghan soil would be a stellar victory for the Taliban and one of the most humiliating defeats for Washington since the Fall of Saigon in 1975, because besides destroying a country of thirty-million people, Washington has failed to achieve any of its objective, including the much-touted imperialist project of “nation-building,” during its seventeen years of occupation of Afghanistan. In fact, according to a recent report by the US Special Inspector General for Afghanistan Reconstruction (SIGAR), the US-backed Afghan government only controls 55% of Afghanistan’s territory. It’s worth noting, however, that SIGAR is a US-based governmental agency that often inflates figures. Factually, the government’s writ does not extend beyond a third of Afghanistan. In many cases, the Afghan government controls district-centers of provinces and outlying rural areas are either controlled by the Taliban or are contested. If we take a cursory look at the insurgency in Afghanistan, the Bush administration toppled the Taliban regime with the help of the Northern Alliance in October 2001 in the aftermath of the 9/11 terror attack. Since the beginning, however, Afghanistan was an area of lesser priority for the Bush administration. The number of US troops stationed in Afghanistan did not exceed beyond 30,000 during George Bush’s tenure as president, and soon after occupying Afghanistan, Washington invaded Iraq in March 2003 and American resources and focus shifted to Iraq. It was the Obama administration that made the Afghanistan conflict the bedrock of its foreign policy in 2009 along with fulfilling then-President Obama’s electoral pledge of withdrawing American forces from Iraq in December 2011. At the height of the surge of the US troops in Afghanistan in 2010, the American troops numbered around 140,000 but they still could not manage to have a lasting effect on the relentless Taliban insurgency. The Taliban are known to be diehard fighters who are adept at hit-and-run guerrilla tactics and have a much better understanding of the Afghan territory compared to foreigners. Even by their standards, however, the Taliban insurgency seems to be on steroids during the last couple of years. The Taliban have managed to overrun and hold vast swathes of territory not only in the traditional Pashtun heartland of southern Afghanistan, such as Helmand, but have also made significant inroads into the northern provinces of Afghanistan which are the traditional strongholds of the Northern Alliance comprising the Tajik and Uzbek ethnic groups. In October 2016, for instance, the Taliban mounted brazen attacks on the Gormach district of northwestern Faryab province, the Tirankot district of Uruzgan province and briefly captured  the district-center of the northern Kunduz province, before they were repelled with the help of US air power. The main reason of the surge in Taliban attacks during the last couple of years appears to be the drawdown of American troops which now number only 14,000, and are likely to be significantly scaled back after the conclusion of the second round of peace talks, currently being held in Doha, Qatar. Finally and in conclusion, the Pashtun Taliban is known to be the proxy of Pakistan’s military whereas India has traditionally supported the Northern Alliance, comprising the Tajik and Uzbek ethnic groups. After the Bush administration’s invasion and occupation of Afghanistan in the aftermath of the 9/11 terror attack, India was hopeful that Washington would pressure Pakistan to withdraw its support from jihadist group, including the Kashmir-focused militant groups which are a thorn in India’s side. India even mobilized its troops along Pakistan’s borders in 2002 in order to pressure Pakistan to toe Washington’s “war on terror” policy in Afghanistan, and it has invested significant Indian resources during the last seventeen years of the US occupation of Afghanistan. But it is now becoming obvious that not only Washington is permanently abandoning the region, but the rest of the global powers, such as Russia and China, are also getting cozy to Pakistan’s proxy, the Taliban. As soon as American troops withdraw from the region, Pakistan’s military would once again get a free hand not only to nurture militancy in Afghanistan but also in Kashmir. Thus, the Indian air force conducted an aerial incursion in the Pakistani airspace on Tuesday in sheer frustration, apparently sending a message that even if Washington abandons the region, India can guard its own strategic interests, though the audacious show of force has evidently backfired. Nauman Sadiq is an Islamabad-based attorney, columnist and geopolitical analyst focused on the politics of Af-Pak and Middle East regions, neocolonialism and petro-imperialism. He is a regular contributor to Global Research.